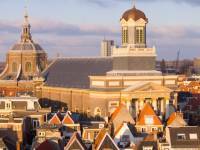 I have a few questions reagrding the PIL LLM program in Leiden University. Replies from Alumnis are much appreciated. Just looking for a general description of the program regarding the work load/intensity aspect. Do you consider this LLM to be very intense and difficult? Do you think the program is worth it? Is it possible to fail this program? Have you witnessed or heard of a student who had to redo courses in the next year? I am a hardworking student, my only fear is that in the netherlands, the teaching and examination methods differ from the methods in my home country, and this might affect my results. I need to be assured that Leiden is not “that” crazy, the way described by some horror stories I read on this site. Your attention to my discussion is much appreciated.